Netflix is a brilliant source of films. Netflix is closely associated with new shows, like Stranger Things and The Crown. It also has a collection of popular movies and TV shows. But did you know you can get your fix of Cinema History on there too? 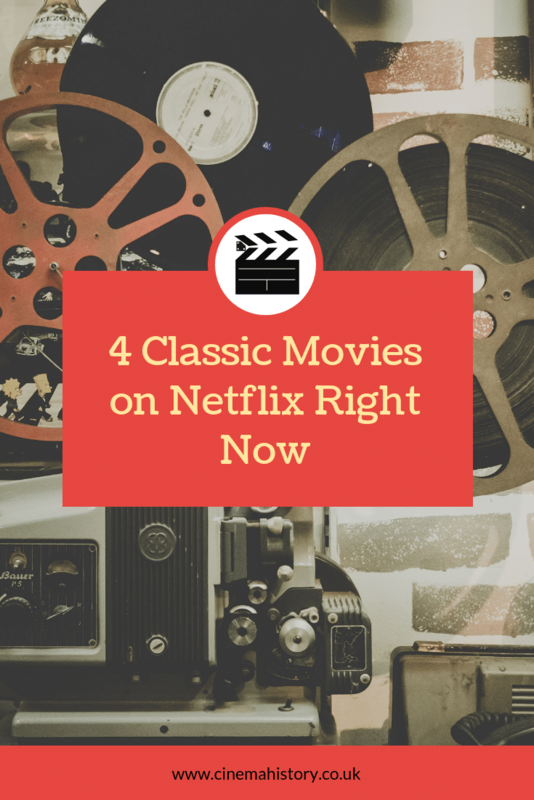 These are some of the best classic movies on Netflix right now. Bette Davis gives an impressive and bitchy performance as an aging actress whose life is slowly infiltrated by a young fan. This film has a slight noir edge and feels similar to Sunset Boulevard, also released in 1950. All About Eve is the only film to have 4 Actresses up for Academy Award nominations in the Best Actress and Best Supporting Actress. To Kill A Mockingbird, written by Harper Lee is probably one of the most famous pieces of American Literature. The book won many highly prestigious literary prizes including the Pulitzer Prize and topped the best seller list for over a year. The Film adaption followed suit. The film was a box office smash hit, earning over 10 times its budget, and scooped up three academy awards. Gregory Peck gives a wonderful performance, and the film is just as captivating as the book. Very loosely based a true story, this film follows two outlaws who flee to South American in to lie low after a train robbery goes wrong. The film opened to mixed reviews, with Roger Ebert giving the film 2.5 out of 4 stars. It’s a harmless film that is defiantly one to tick off your list. It’s a great gateway drug into old Western films. If you like the 1940s and you like dark, murder-y movies then this is one for you. This classic film noir follows a professor who falls in love with an artist’s model. The film takes inspiration from Once Off Guard, a novel by J. H. Wallis, but the Production Code demanded many changes to the story. The film has a 95% certified fresh rating by Rotten Tomatoes, but I think it deserves higher. There are many classic movies on Netflix! Take a peek at our reviews to see what’s on.